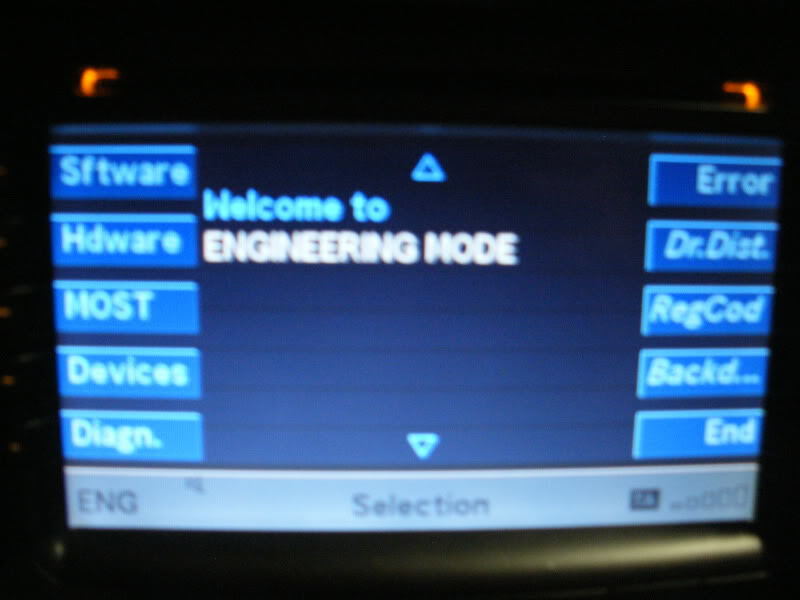 You can go into the "Engineering Mode" menu, and select software. It'll tell you what software version your COMAND is at. Engineering Mode access key sequence has been changed so people won't brick their units. What makes you think you can change a US spec. COMAND to a Euro COMAND via Engineering Menu? Just curious to read your answer. Does anyone know the new Engineering Mode access keys to enter into engineering mode? just going to update this thread, I am so happy to have mp3 now. thanks so much ! I would state my location because the head unit service CDs are region dependent. You may get into trouble if you manage upload wrong SW. Why not put the info to your profile. My 2004 E-500 is in the shop for expensive strut replacement @ the local MB dealer. Today he called and said they tried to update the system, but it would not take any update as everything was current. Maybe it is, maybe not, I checked last year and found it to be old if memory serves right. How do I check the date and version as I pick up the car, and show it to the S.A., in case it is old stuff..? Not the COMAND has to be updated but the drive in the trunk. 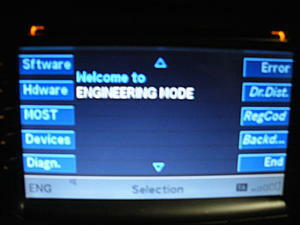 1) COMAND update w211589142200 performed by inserting the service DVD into head unit single disc player. IS the above Nav Service update the same as the NAVI street update, or different...? Now I am really confused here guys and it hurts. Got the COMAND Operators Manual next to me, but it has to be read like a bible to find what I need, if ever. The Navigation Drive update CD. It's the special tools CD with parts number 211 589 15 22 00. COMAND update uses a different CD and the NAVI street/road DVD is a DVD not CD. One single CD for all of the above...? How many sofware updates are possible on a stone-age 2004 E-500 Wagon? 3) Navigation system software excluding NAVI data base? The Headace is growing...Anybody with good answers, pls reply.. Anyone try this update on a 07+ COMMNAD yet? Update was released to bring MY03 thru MY06 COMAND up to MY07 – current disc 211589162200. This same disc will update MY08 & 09 to receive additional at cost SIRIUS XM channels. So to answer your question there are no updates available for MY07. Got my car back from the MB dealer today. Had requested an update on the COMAND system. Am I missing something here, or is the MB dealer incompetent? Thinking about complaining to MB USA. Surely somebody higher up should know which DVD to insert and would be able to call the dealer and guide them through the procedure? konigstiger ... are you saying I could use MP3's on my 2003 211 with the Small Screen? He was talking about Comand and your "Small Screen" must be something different (you could say if it is Audio 50 or Audio 20, I'm not sure if Audio 50 actually was the only other option for US cars).